Transformational Leadership | Go Slow to Go Fast - Excellent Cultures Inc.
Often we give up on a transformation because we don’t know where to start or don’t see the change right away. Brig. Gen. John E. Michel is the former commanding general for NATO Training Mission/Combined Security Transition Command-Afghanistan; and Commander, 438th Air Expeditionary Wing, Kabul, Afghanistan. He shares how transformation truly works within organizational structures beginning with investing in the relationship with others, and then realizing to go fast, we must go slow. John is a speaker, author, business advisor, and widely-recognized expert in culture, social media, strategy & individual and organizational change. 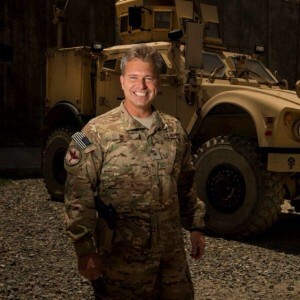 A recently retired Air Force General, he is also the founder and senior curator of the world’s largest senior military leader blog platform in GeneralLeadership.com. An accomplished, unconventional leader and proven status quo buster, his award-winning work has been featured in a wide variety of articles and journals, including the Harvard Business Review, Fast Company, Huffington Post, National Geographic, Joint Forces Quarterly, and the Washington Post. His new book, The Art of Positive Leadership, will be released in April. You can contact John Michel at his twitter.